The Omega has a great juice yield. With the 1/3 hp motor and 80 RPMs the auger is strong and takes its time to chew up the fibers and turn them into juice. Turning through the auger vs a mesh filter creates a higher juice yield and dryer pulp. 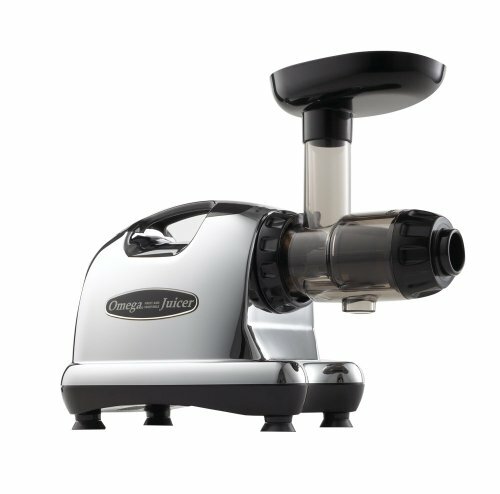 The Omega 8003 will give you a non foamy, long lasting, nutritious glass of juice in no time. 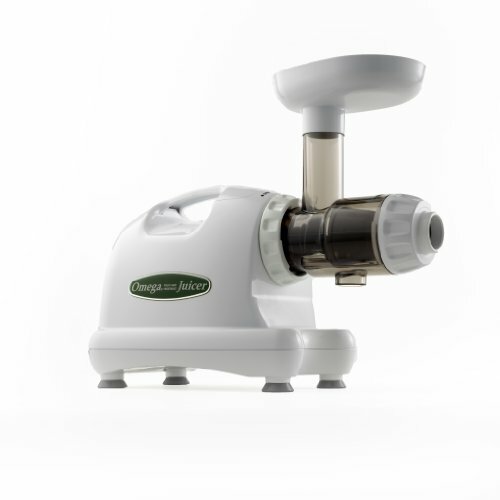 The j8003 will juice leafy greens and wheatgrass too. You will get the most variety of juicing. Choose your favorites and turn them into a glass of juice in just a few short minutes. An automatic pulp ejection function and reverse mode makes it even easier. Clean up is a breeze with the auger. 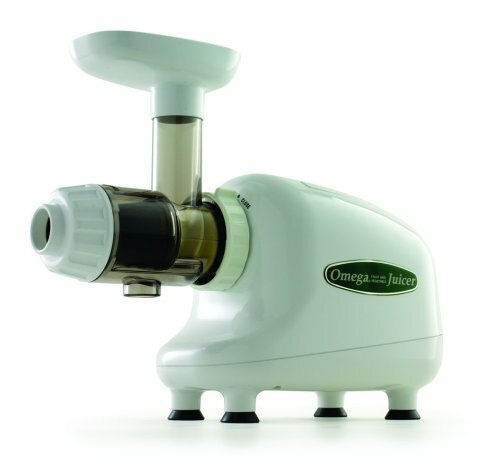 One reviewer says - "The pulp comes out so much drier than the pulp from a centrifugal juicer." Easy clean up. One main unit to take off with 3 pieces to clean. Juice anything for added variety to your nutrition. Make juice without waking everybody in the house. 10 yr warranty and great customer service. 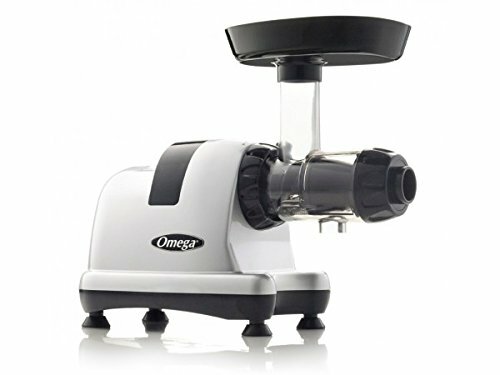 Although I find the Omega j8003 to be the ultimate juicer for such a low price there are flaws. As with any product there will be things that you wish were different. You will have to cut up most fruits and veggies in able to put in the chute. 2.The 80 rpm takes the Omega longer to make juice. Running on 80 rpms allows for a more nutritious better tasting juice without the oxidation.